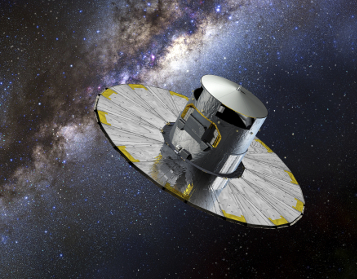 Science alerts from the Gaia probe are up and running again. According to the article at the European Space Agency web site, when the science team started issuing alerts in the fall of 2014 they were quickly overwhelmed by the number of potential transient sources which numbered up to a million per day! They developed new filtering algorithms so to better identify actual events, now on the order of about four a day. So, Gaia continues to measure the position and velocity of stars for new stellar catalogues as well providing information about potential supernova candidates and binary cataclysmic variables.